There is a great deal of potential material to bring to the table based on this story. Tonight we merely scratched the surface, but manage to bring you quite a bit of goodness for the table. Below is a list, by category and author, of what has been added to the Dark Acquisitions page by the Keepers of Mysteries, based on this show. Further contributions from friends of the library will also be found there as they arrive. Another great podcast! And an Appendix N book that I now have to find a copy of! Next year, a possible seasonal podcast is Dark is the Sun by Philip Jose Farmer, which actually has Santa Claus appear (not by name) in a cameo. It would fit in well with Mutant Crawl Classics or Crawling Under a Broken Moon. 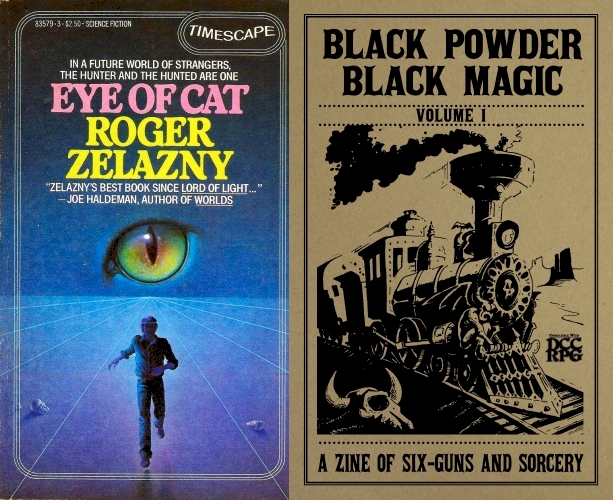 Your companion zines are an excellent addition not only to your podcast, but to DCC in general. Keep it up! And all the best over the holidays and in the new year! Thank you for the kind words, and great suggestion for next year. PJF wrote some great books and his Dungeon series really sticks out (once you get past the glory of Riverworld).